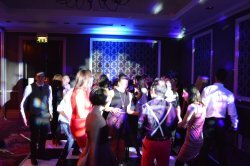 Moonraker Disco ~ Music for all Occasions! 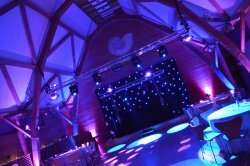 Since July 1989 Moonraker Disco has been providing exceptional entertainment at a huge number of venues. 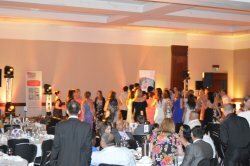 We provide professional discos and light shows for all types of functions, including, Weddings, Birthdays, Anniversaries, Corporate Functions, Children's Parties, School Reunions, Fetes and any other reason you can think of for having a Disco! We play a mixture of music, ranging from the sixties to present day, chart music. Moonraker has an extensive range of tracks, with about 12,000 different song titles with us at all times, we play 60s, 70s, 80s, 90s, Disco, Pop, Rock, R 'n' B, Garage, Trance, Commercial Dance, Reggae, Soul, Motown, Old Skool, Country, Latin ..... along with karaoke if required! We carry £5 million public liability insurance and all the equipment used is tested on a yearly basis for electrical safety. Every piece of equipment has a P.A.T. (portable appliance testing) certificate.